Adele A. Josten, 92, died peacefully on January 16, 2017. Adele A. Schneider was born June 11, 1924 in Fargo, North Dakota to E.P. and Margaret (Callahan) Schneider. 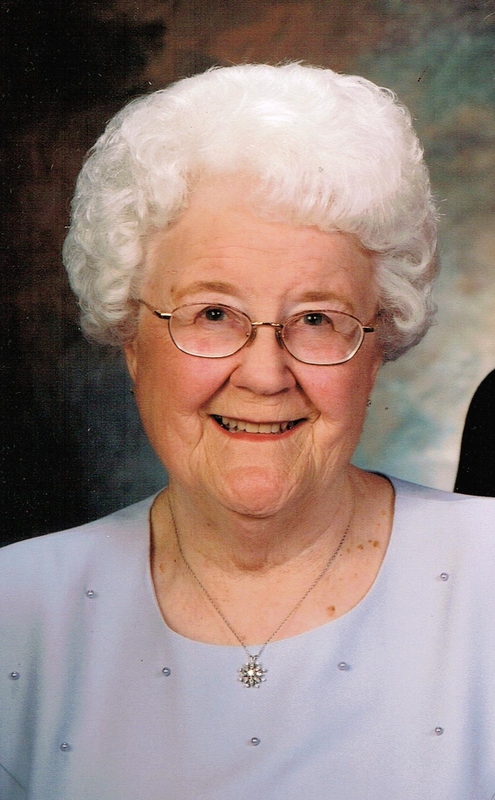 She attended St. Anthony’s Grade School, Sacred Heart Academy High School and Secretarial School in Fargo. She started work for the Veteran’s Administration in Fargo, transferred to St. Paul, Minnesota and again to Sioux Falls, South Dakota. In Sioux Falls, she met her husband Bernard J. Josten and they were united in marriage on August 18, 1951. Bernard and Adele raised three boys and enjoyed seven grandchildren and four great-grandchildren. Bernard preceded Adele in death by nine years almost to the day. Adele also worked in the Office of Education for the Diocese of Sioux Falls. She was awarded Woman of the Year for the American Business Women’s Association, Dakota Chapter and served as president of Cosmopolitan Auxiliary and St Joseph’s Cathedral Club. She was a Cub Scout Leader, a Lay Minister of the Eucharist, and an active member in Catholic Daughters. Along with Bernard, they were Marriage Preparation Leaders and Marriage Sponsors for engaged couples. Adele was very generous with her time and volunteered to help wherever she was. Throughout her life, she sewed and did needlework for her family and continued to knit baby booties for expectant mothers well into her later years. Her warm personality and endless wit drew people to her from her first friend in Sioux Falls to her last visitors in hospice. Adele is survived by her sons: Bernie (Shawna) of Farmington, UT, Jim (Lynn) of Sioux Falls, and Greg (Bonnie) of Rapid City, SD; seven grandchildren: William (Kay) of St Paul, MN, Brian (Beth) of Sioux Falls, Anne of St. Paul, MN, Daniel of Vermillion, SD, and Michael of Bozeman, MT, Andrew and Carolyn of Rapid City, SD; and four great-grandchildren: Abby and Ellie of St. Paul, MN, and Benjamin and Brieanna of Sioux Falls, SD. Visitation will be Friday the 20th, 5:00 PM with a Scripture Vigil at 7:00 PM followed by the Rosary at Barnett-Lewis Funeral Home at 901 South Minnesota Ave, Sioux Falls, SD. Mass of Christian Burial will be Saturday, the 21st, 10:00 AM at the Cathedral of St. Joseph at 521 North Duluth Ave, Sioux Falls, SD. Please join the family when they lay Adele to rest at St. Michael Cemetery, followed by a luncheon in the St. Joseph Cathedral Parish Hall. Memorials can be directed to Sioux Falls Catholic Schools - Bernard and Adele Josten Endowment - Sioux Falls Catholic Schools Foundation, 3100 West 41stStreet, Sioux Falls, SD, 57105.